Here’s the “eccentricity” chunk of my “Writing Great Characters” talk at Write on the Sound 2010. As before, the audio’s a little shaky, so turn it up. “Eccentricity is at the heart of strong characterization. The most effective characters have profound roots in human behavior. Their richest feelings may be similar to those held by many others. However, as characters their eccentricities dominate the reader’s first vision of them. Or at least let’s talk about bad guys. Villains, I mean. As usual, this is true for novels, too. 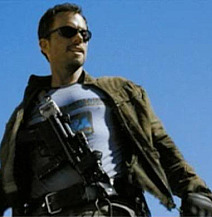 And if you think your book or screenplay doesn’t need an antagonist… just hold on, I’ll get back to you in a minute. To understand bad guys, we’ll start with good guys. Eccentricity: memorable characters are not ordinary. Envy: readers most love the characters that they wish they could be. Save the Cat: a scene that shows the reader that — despite moral ambiguity on the surface — this character has a moral center that makes him or her worth following. So… can these tools make an antagonist interesting, too? Some can. Let’s see which. It’s difficult to think of a great villain that’s not eccentric, although it may be only their villainy that makes them so. Hans Gruber, in Die Hard, doesn’t seem wildly eccentric… and yet he is. His eccentricity lies in the brilliant plot he hatched to rob Nakatomi Tower. Some antagonists have their eccentricity bound up with the fantasy world they inhabit. 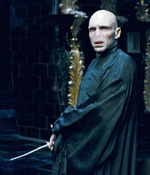 Harry Potter’s nemesis Voldemort is the focal point of all the supernatural aspects of Harry Potter’s life. Likewise, the land of Middle-Earth is extraordinary to the reader, but Sauron is extraordinary to the characters in Middle-Earth. So eccentricity for villains gets a big yes. Do we envy a good villain? 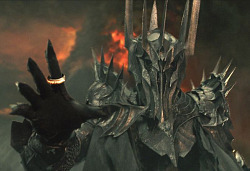 But wait… Sauron? And who envies Voldemort? Nobody — that guy is gross. So there’s a split on Envy. Some antagonists yes, some no. This one splits, too. 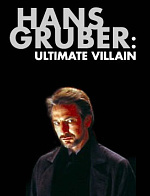 Some antagonists exhibit paradox, like Hannibal Lecter (the polite cannibal) and Hans Gruber (the charming terrorist. And one of my favorite villains, Rene Belloq in Raiders of the Lost Ark, is charming as well. Lots of writers make their antagonists more compelling by balancing their nastiness with charm. 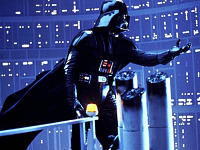 Darth Vader’s Yin-Yang flip in Star Wars comes when he kneels before a hologram of the Emporer. Before that scene, Vader is simply a faceless tyrant, a bully. But when we hear him say, “Yes, my master,” we a new side of him. This contradiction (vicious tyrant vs. obedient servant) is just the beginning of Darth Vader’s complexity, which explodes when he says those immortal words to Luke, and his complexity becomes vicious tyrant vs. obedient servant vs. compassionate father. They are just plain evil. And off stage most of the time, serving as forces rather than characters. So not all antagonists have Yin-Yang natures, but I think this sort of complexity makes more compelling, more memorable villains. This one’s easy — bad guys don’t do it. Ever. If they do, they become good guys. 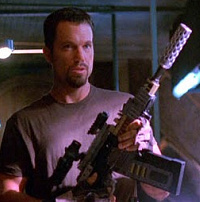 Jayne Cobb is not a villain (though he lies, cheats and steals, and serves as a sort-of antagonist for Malcolm Reynolds) because he’s always Saving the Cat… usually by blasting away at mooks who threaten the crew of Serenity. Writers need to be careful with this stuff, or they’ll end up with a villain who’s more compelling than the hero. All protagonists must want something, and go after it. All antagonists must want something, and go after it. Antagonists, like protagonists, benefit if their writers use the tools of Eccentricity, Envy and Yin-Yang. Now, what about skipping the antagonist altogether? The adversity your main character faces might be a mountain, a machine, a ticking clock, a screwed-up society, or a thousand other things. It need not be personified. You might not be writing that kind of story. I’ve written stories with villains and without. I don’t buy it. I think Bova is arguing against crappy villains, not all villains. Keep your tools in mind, and you can write cool villains — compelling antagonists who set up shop in the audience’s psyche and never leave. Here’s a simple ingredient for compelling characters: Eccentricity. Eccentricity is at the heart of strong characterization. The most effective characters have profound roots in human behavior. Their richest feelings may be similar to those held by many others. However, as characters their eccentricities dominate the reader’s first vision of them. If you were to examine the surviving novels of the twentieth century, you would find that a majority of the most memorable characters in fiction are to some degree eccentric. This is not a tough argument to make. Imagine your favorite characters in novels you love the most. Boom, eccentric. If you’ve got other strengths (like a wild premise or setting), maybe you can squeak by with “everyman” sort of characters. The problem is that our main characters are a shadow, a fragment, of ourselves… the writer. And inexperienced writers are afraid of what they might reveal, afraid of seeming ridiculous or perverted. So inexperienced writers create characters who just want to get through this (whatever “this” is), who just want to live a normal life. Melville’s Captain Ahab, Fitzgerald’s Gatsby, Salinger’s Holden Caulfield, and Joseph Conrad’s Kurtz all possess eccentric personalities and drives. Sherlock Holmes possesses unique powers, but he’s also got a set of bizarre quirks (from misogyny and cocaine addiction to… well, I would say he’s ADD). Quirks are everywhere, from Indiana Jones’s hat and whip, to Harry Potter’s scar and glasses, to Manny’s mechanical arm (that’s Heinlein’s The Moon is a Harsh Mistress). Shall we include unusual background, or legacy? 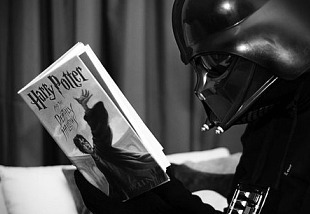 That’s gets us Harry Potter again, and Luke Skywalker. Animal characters are no exception. Buck (in London’s The Call of the Wild) is no ordinary dog, and a main character in Adams’s Watership Down is not only a rabbit, but a psychic rabbit. I’m not saying that eccentric characters are all you need. If you do have nicely freakish characters, your job isn’t finished. Now you can try for some character complexity and tap the power of your readers’ envy.